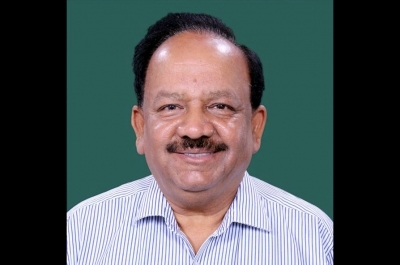 New Delhi, Feb 12 (IANS) Union Minister of Environment Harsh Vardhan on Tuesday released a publication on climate action titled 'India - Spearheading Climate Solutions' which mentions the key actions India has taken under various sectors towards combating and adapting to climate change. "This publication not only highlights our achievements towards climate action but also our preparedness for the future," Vardhan said during the release of the publication here. "The initiatives captured in this publication are a reflection of our commitment towards addressing climate change concerns while keeping a fine balance with the sustainable development priorities," he added. Some of the major initiatives mentioned in the publication include the Union Ministry's National Action Plan on Climate Change (NAPCC), National Adaptation Fund on Climate Change (NAFCC), Climate Change Action Programme (CCAP), State Action Plan on Climate Change (SAPCC), International Solar Alliances (ISA), and Atal Mission for Rejuvenation and Urban Transformation (AMRUT). In the last four years, many development initiatives - taken at both the state and the national level - have significantly contributed to the adaptation and mitigation of climate change, Vardhan's office said in a statement. "The renewable energy capacity stands at more than 74 GW which includes about 25 GW from solar energy. India's forest and tree cover has increased by one per cent as compared to assessment of 2015. Schemes like 'Ujala' for LED distribution has crossed the number of 320 million while 'Ujjwala' for distributing clean cooking stoves to women below poverty line has covered more than 63 million households," the statement said. The report revealed that the emission intensity of India's GDP came down by 21 per cent between 2005 and 2014, and India's achievement of climate goal for the pre-2020 period is on track.